The ZenFone Max Pro's specs are based on a survey of over 2,000 Indian consumers. Having surpassed the US to become the second largest smartphone market after China, India is now the latest battleground for some of the top mobile brands. According to Canalys, even Samsung lost its top position there to Xiaomi as of Q4 2017, followed by Vivo, Oppo and Lenovo. 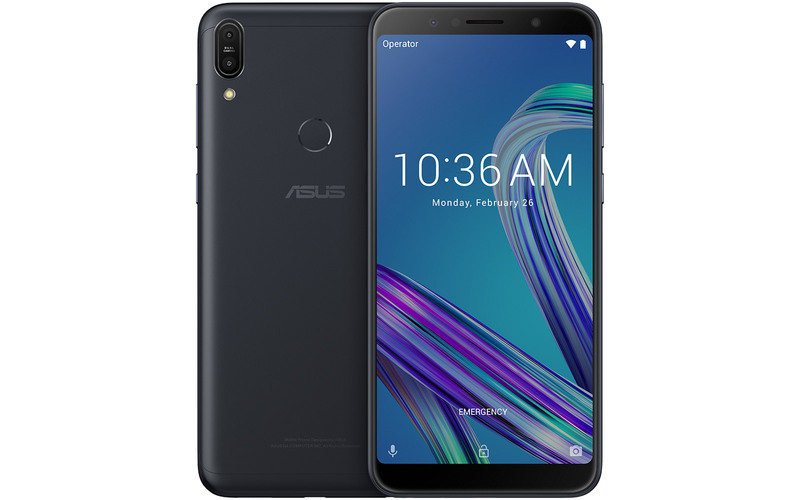 Meanwhile, ASUS is continuing its fight over there by announcing the ZenFone Max Pro (M1), an India-centric mid-ranger that's priced competitively -- even more so than Xiaomi's recently launched Redmi Note 5 Pro. This also happens to be ASUS' first stock Android device, which is partly why it's able to be shipped with Android 8.1. According to ASUS, pretty much everything about the ZenFone Max Pro was based on a survey -- conducted by market research firm Ipsos -- of over 2,000 Indian consumers. The result was a product that's somewhat similar to the Redmi Note 5 Pro, but with slight advantage over certain specs. And ultimately, this ZenFone starts at 10,999 rupee (about $170; 3GB RAM plus 32GB storage), thus undercutting the Redmi's 13,999 rupee base price (about $210; 4GB + 64GB). The ZenFone also offers a 4GB RAM plus 64GB storage configuration, but at 12,999 rupee (about $200) it's still slightly cheaper. It's clear that ASUS is really trying to put up a good fight here. Both devices feature a 6-inch 2,160 x 1,080 IPS LCD, a nice mid-range Snapdragon 636 processor plus a rear fingerprint reader (face unlock is available, too), but the ZenFone Max Pro's display has a higher 450-nit brightness plus a higher 1500:1 contrast ratio. Other goodies include a larger 5,000 mAh battery, a dedicated microSD card slot alongside dual SIM slots, a supposedly louder speaker and a newer version of Android (the Redmi Note 5 Pro comes with Android 7.1 customized by Xiaomi's MIUI 9). All of this while managing the same 180 gram weight, but with a gentle bump to 8.46mm on its thickness. Photography-wise, the ZenFone Max Pro has a 13MP + 5MP pairing for the bokeh-enabled main camera, and on the other side there's an 8MP front camera plus an LED flash for easier selfies. While the main camera has a slightly higher resolution than its Redmi counterpart, its selfie camera is much weaker than the Redmi's 20MP offering. Obviously, it's not always about quantity, so we shall see when the comparison tests come out. The good news for some of us outside of India is that the ZenFone Max Pro will likely make it to other markets, albeit with slightly different specs. For now, this phone will be launched in Indonesia via Lazada on April 25th, followed by India's Flipkart on May 3rd. This may not immediately put a dent on Xiaomi's marketshare in these regions, but we won't be surprised if it decides to throw a big flash sale around the same time just to bite back.